Compliance with JIS K 6253, ISO7619, ISO868 AND ASTM D 2240 standards for hardness test of vulcanized or thermoplastic rubber. 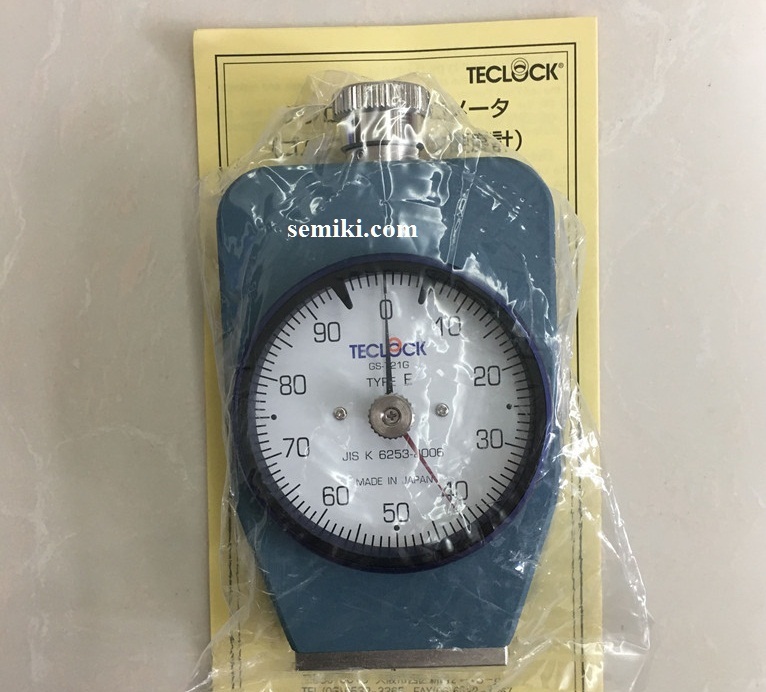 This is Durometer to comply with JIS K 6253 (new JIS) standard established in 1993 for the purpose of conforming to ISO (International Standard Organization). Durometers consist of 3 types namely, Type A for medium hardness, Type D for high hardness and Type E for low hardness. Type A tends to indicates higher value by 1~2 points compared with former Type A durometers. Type D is suitable for hard rubber having more than 90 hardness measured by type A durometer and Type E is suitable for soft rubber of which hardness is 20 and below measured by Type A durometers. for hardness test of vulcanized or thermoplastic rubber. 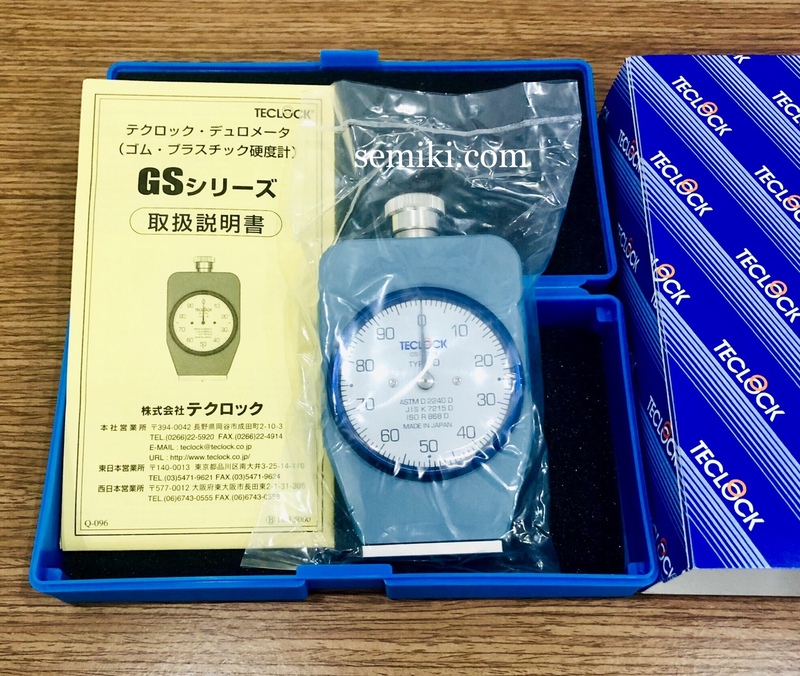 This is Durometer to comply with JIS K 6253 (new JIS) standard established in 1993 for the purpose of conforming to ISO (International Standard Organization). Durometers consist of 3 types namely, Type A for medium hardness, Type D for high hardness and Type E for low hardness. Type A tends to indicates higher value by 1~2 points compared with former Type A durometers. Type D is suitable for hard rubber having more than 90 hardness measured by type A durometer and Type E is suitable for soft rubber of which hardness is 20 and below measured by Type A durometers. 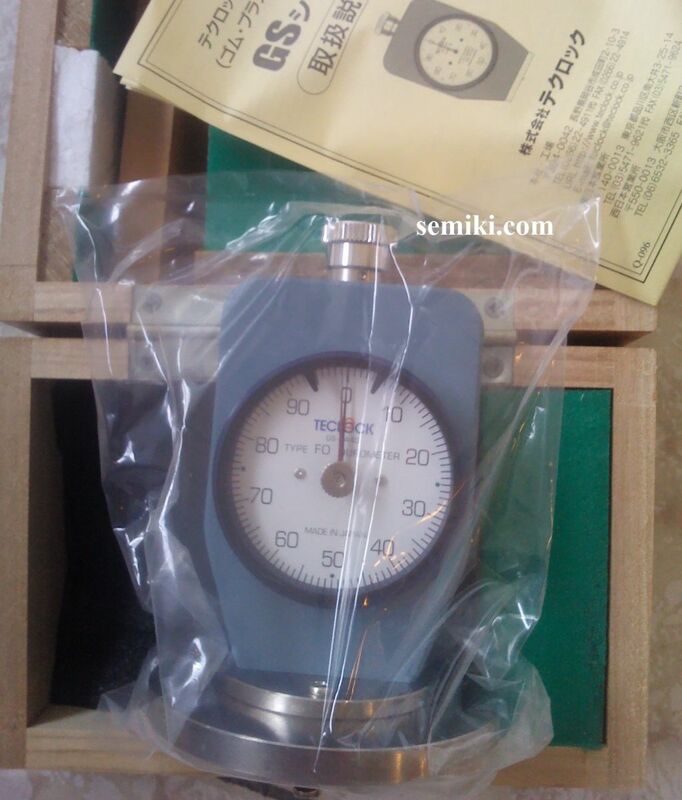 Some of Rubbers, Elastomer’ elastic bod is not easily read the maximum value after firm contacting with a presser foot of durometer, due to the stress relaxation. The pointer indicates the descendent value but the peak pointer is holding the maximum measured value. The peak pointer type can easily read the maximum value efficiently. In case the pointer cannot be read directly due to some obstacles although the measuring can be done, the measured value can be confirmed from peak pointer after measuring. The upper/ lower limiters equipped will be effectively used in tolerance judgment. Durometers for Hardness test of rubber characteristic. ASTM (American Society for Testing and Materials) is historically old and various types of durometers are prescribed. 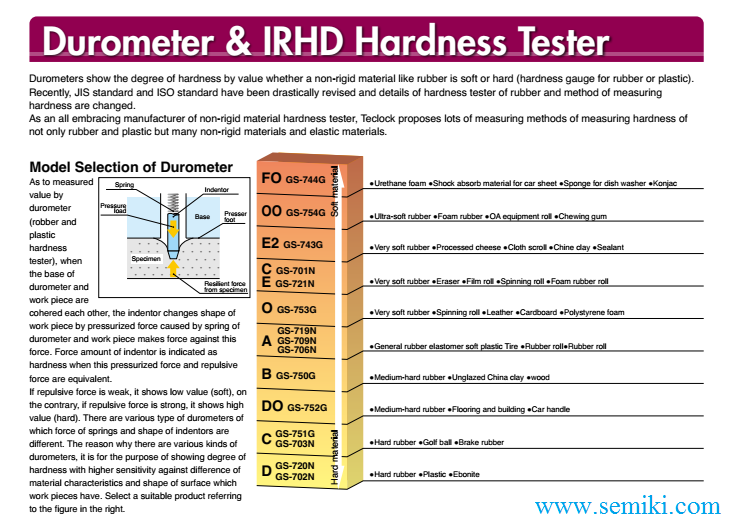 ISO applies durometer of type A and type D among this standard and they are prescribed in JIS standard. 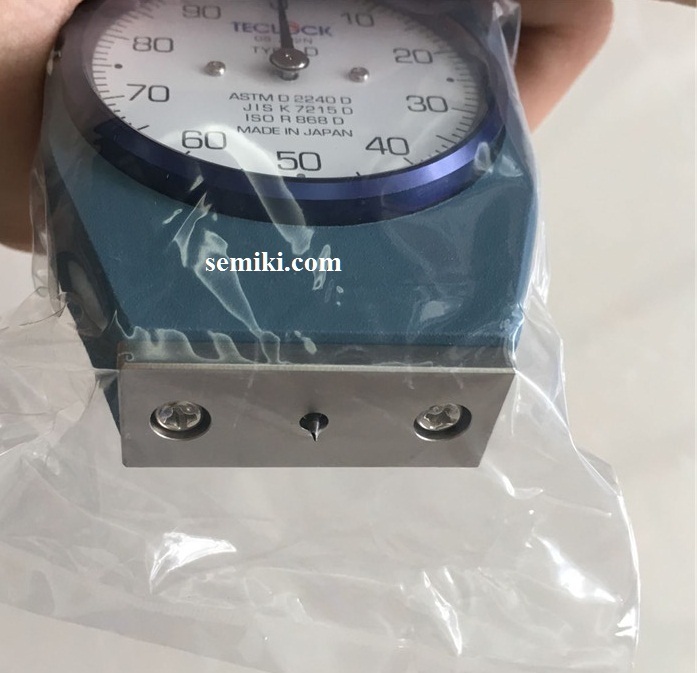 TECLOCK provides all of this ASTM Durometer for the usage of hard material application to ultra-soft material application in our line up. 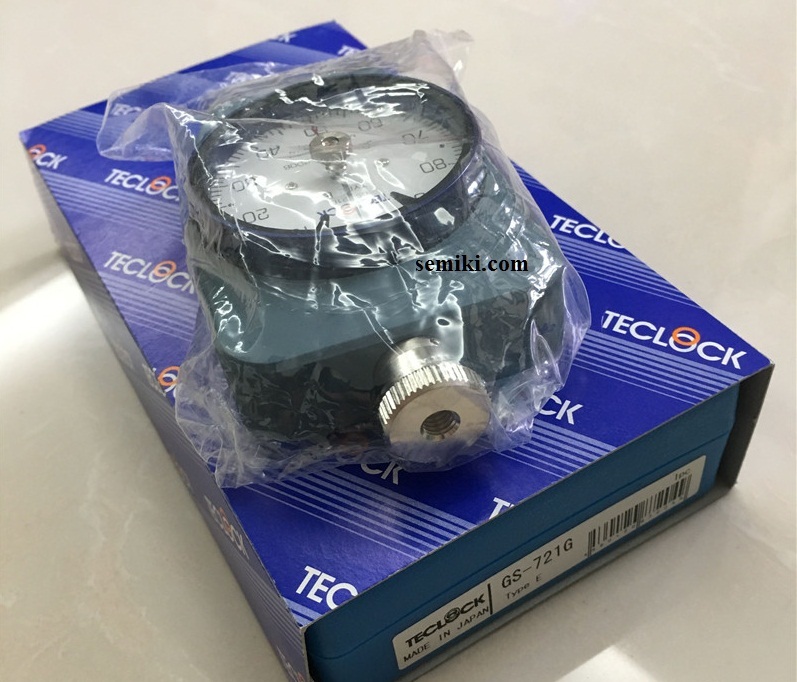 Please select according to usage in addition to type A and type D.
This is available as TECLOCK original standard based on customers requirement, even though they are not prescribed in JIS or ISO. 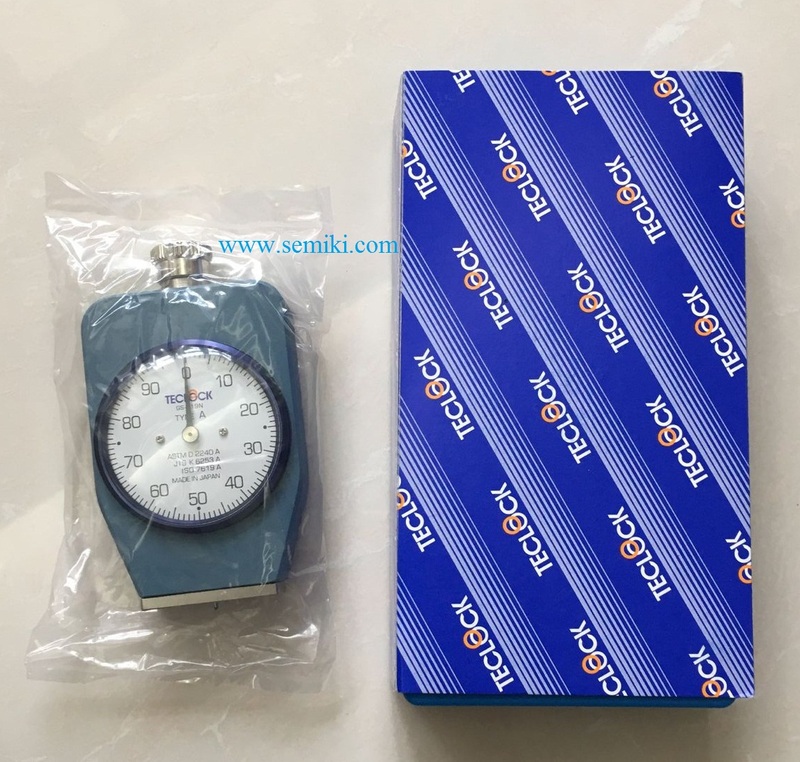 Type E 2 durometer for soft rubber with around half of spring load value of Type E, and Type FO to measure hardness of polystyrene sponge for the level of sponge for washing dishes are available.